Search warrants do not automatically preclude successful Fourth Amendment challenges. Today, Ian Christian Carlson happily saw that truism applied to his benefit. Carlson v. Virginia, ___ Va. App. ___ (Feb. 12, 2019). 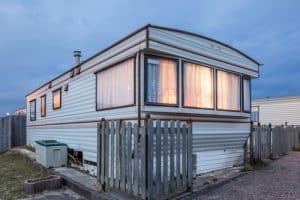 As a Fairfax criminal lawyer, I know that police generally are barred from investigating for possible criminal activity by going right up to the windows and doors of people’s homes, even if that home is a trailer home at a trailer park. Carlson. As a Virginia drug lawyer, I am delighted that today the Virginia Court of appeals invalidated the search warrant and search of Ian Carlson’s home, thus reversing his conviction for the felony of manufacturing marijuana, arising from the discovery of multiple cannabis plants at his trailer home. The search warrant obtained for his home was as a result of police violating the curtilage of multiple trailer homes at a trailer park by going right up to the trailer homes’ windows and doors to sniff for marijuana odor. The basis used for swearing out the search warrant of Carlson’s home was the alleged odor of unburnt marijuana coming from his trailer home. Despite the prosecutor’s contention that “the officers, after narrowing down the possible source of the [marijuana] odor, ‘went one step too far in confirming their belief by sniffing the trailer’s window casings and doorjamb,’ the Virginia Court of Appeals found this argument “inconsistent with the testimony of the officers, who admitted to sniffing the windows and doors of all the nearby trailers in an attempt to narrow down the source of the smell.” Carlson. Although the Commonwealth argued “that they were not required to prove with certainty that Carlson’s trailer was the source of the marijuana odor to prove probable cause,” nonetheless, “the Commonwealth was required to demonstrate a ‘fair probability that contraband or evidence of a crime will be found in a particular place. '” Carlson. One of my pet peeves as a Fairfax criminal lawyer is that the Virginia magistrates issuing search warrants do not need to be lawyers and do not automatically have sufficient knowledge nor training about Fourth Amendment issues to be able to make a sufficient determination whether to grant a search warrant application. Nonetheless, whether search warrants are issued by non-lawyer magistrates or lawyer judges, search warrants must be sufficiently challenged by the criminal defense. Fairfax criminal lawyer Jonathan L. Katz pursues your best defense against felony, misdemeanor, drug, and DUI prosecutions. To discuss your case with Jon Katz, please call his staff at 703-383-1100 to schedule a confidential consultation.